Most states have very different laws regarding the usage of stickers and other obstructive objects placed on the windshield of cars. Sticker usage is most commonly seen on company cars looking to advertise their brand or product, and street racers and similar car enthusiasts who enjoy aftermarket tuning of their cars. Placement of windshield and other window stickers is regulated by vehicle equipment laws in Florida, so be sure to read the following rules before you place any stickers on car windows. Florida does not allow any materials or objects attached to windshield which obstruct or reduce driver’s clear view of the road. Source: Florida Statutes, 316.2952 – Windshields; requirements; restrictions. Florida window sticker laws only permit stickers which are required by law, such as registration, inspection, or HOV stickers. All other stickers not required by law are illegal on front windshield. You can also place toll payment or GPS devices on windshields, but ensure they are not directly in front of the driver or otherwise obstructing clear view of the road ahead. There are no regulations prohibiting stickers on side windows or back windshield, however it is recommended to keep it in line with Florida window tint laws. Technically all stickers can potentially reduce your clear view of the road, therefore an overeager police officers may issue a citation for any non-mandatory window stickers, claiming your vision of the road is reduced or impaired. 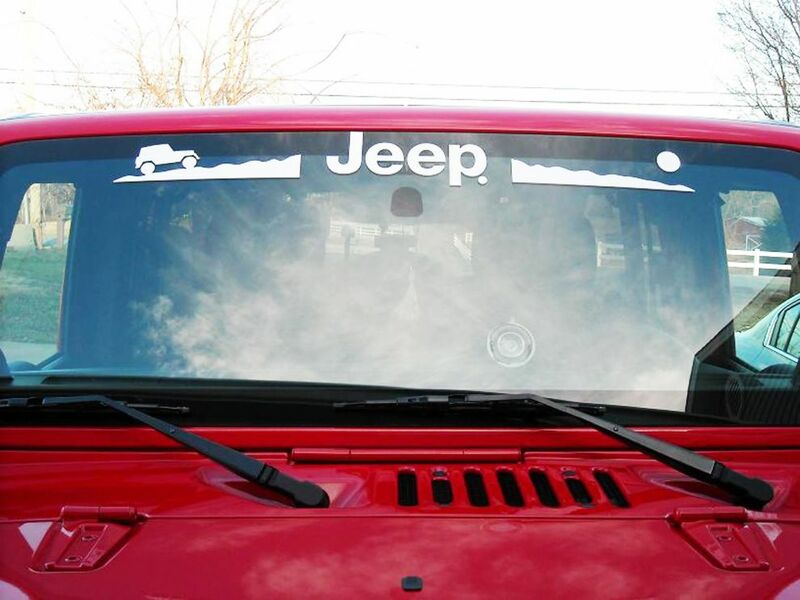 Also based on Florida window tint laws, you can likely install a strip or sticker on top of your front windshield above AS-1 line, or no more than top 5 inches. Regulations require this strip to be transparent, and not placed on driver’s direct forward viewing area. Penalty for violating Florida vehicle equipment laws and placing unauthorized window stickers is noncriminal traffic infraction, punishable as a non-moving traffic violation as detailed in Chapter 318 of Florida Statutes. This article about Florida Window Sticker Laws was last updated in 2019. If any of our information is incomplete or outdated please let us know. Thank you!